Dozens more wildfires started across Alberta overnight, according to the province's fire monitoring. That's an increase from the 106 wildfires reported at the same time last year, which is being attributed in part to the warm and dry conditions. Dozens more wildfires started in Alberta forests overnight, according to the province, bringing the number of such blazes so far this year to 157. That's an increase from the 106 wildfires reported at the same time last year, which is being attributed in part to the warm and dry conditions so far this spring. Some 650 firefighters are battling the blazes provincewide, assisted by 60 helicopters and two air tankers. 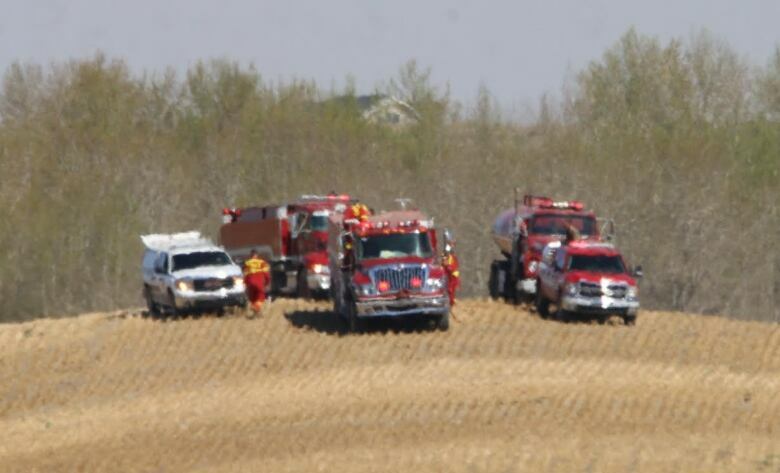 Two firefighters were injured battling a fire in Lamont County, northeast of Edmonton, on Tuesday, but that blaze is not included as one of the the 37 wildfires burning in Alberta's "forest protection areas." The Lamont County fire consumed two homes and 15 other buildings including barns, shops and tool sheds, mostly on farm land. 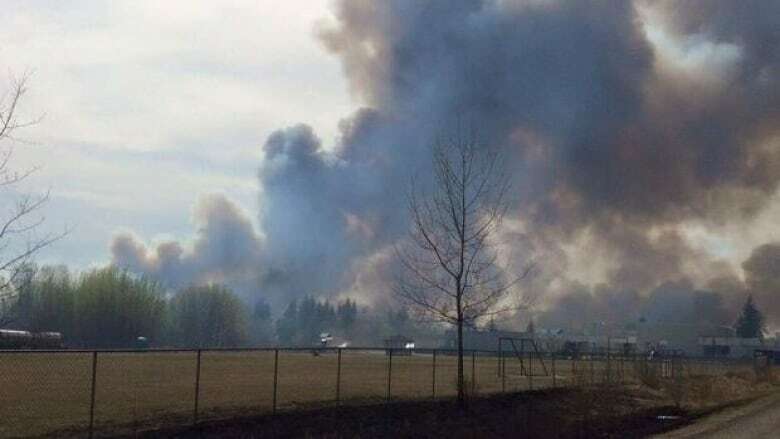 A fire near Duffield, west of Edmonton, forced some residents to evacuate their homes on Monday. In the Municipal District (M.D.) of Foothills, south of Calgary, fire Chief Jim Smith said his department has been fighting at least one fire per day over the past two weeks, and the blazes have been starting relatively quickly and easily. "We've had a couple of fires start by exhaust from ATVs and we had a couple of fires start just by people disposing of their smoking material into the ditches," he said. The M.D. of Foothills has had a fire ban in place since February, and it was joined Tuesday by Rocky View County. Permit burning in Rocky View is now banned "due to dry/windy conditions," according to the county's fire ban, and all outstanding burning permits have been suspended until further notice. The two rural fire bans create a ring of no-burn zones around Calgary, but so far the city has not instituted a ban of its own. Smith said most of the fires in Foothills have been relatively small and originated on acreages or farm land south of Calgary. Farther west, the fire danger in Banff is already rated as moderate, something fire Chief Silvio Adamo said is unusual for this early in the year. Adamo has been in contact with the forestry officials from the Alberta government to set up a partnership that provides the town with more firefighting resources at a moment's notice. "With climate change and predictions of these extreme weather patterns that are becoming normal now, I think its prudent for any municipality — especially those surrounded by forests — to be well prepared for wildland fire," Adamo said.